Volunteers at North Texas Food Bank, located in Dallas, TX, prepare food for children at risk of hunger to take home for the weekend. 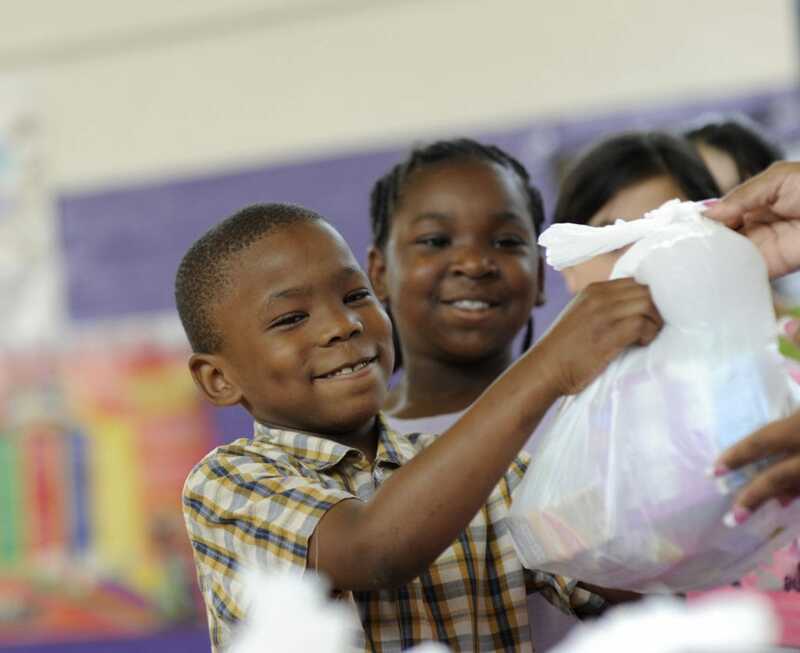 Feeding America’s BackPack Program provides nutritious food to children for weekends and school vacations. 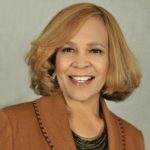 DESOTO—During the last Texas Legislative Session Representative Helen Giddings, D-DeSoto, championed a $5.9 million grant for area food banks. The appropriations rider to the 2016-2017 budget has allocated $5.6 million or 23 million pounds of food for needy Texans. Chief among the available grant options for feeding organizations are the establishing and expansion of the state’s 3E Policy. This grant seeks to encourage health and well-being through Education, Exercise and Eating right. Currently, there are twenty-one different vendors benefiting from the grant. Statewide programs include Capital Area Food Bank in Austin, North Texas Food Bank in Dallas and the Houston Food Bank. Celia Cole, CEO of Feeding Texas, cited successes and how the investment has impacted food delivery across the state. “The increased funding for produce from the legislature has enabled us to combine healthy food distribution with proven interventions to improve health and lower state health costs. This is good for the needy Texans we serve and for Texas,” said Cole. 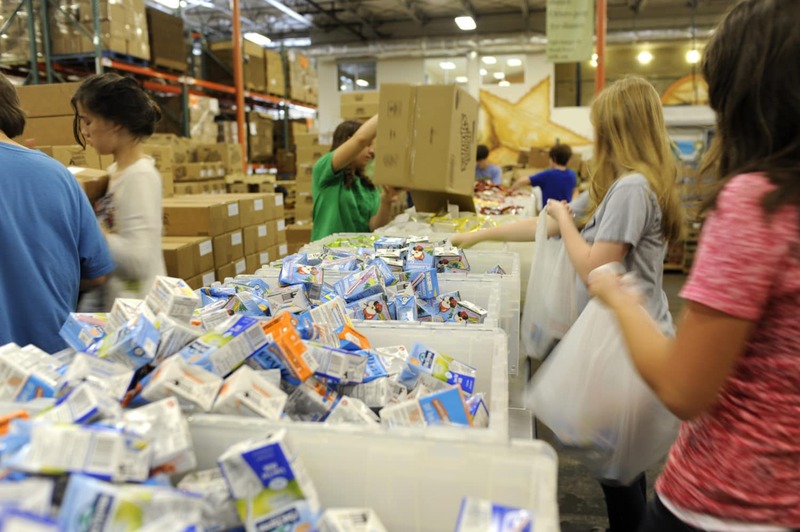 North Texas Food Bank, located in Dallas, TX, runs a BackPack Program for children at risk of hunger. Feeding America’s BackPack Program, administered through network food banks, provides food to kids for weekends and school vacations. Statewide 18.5% of families experience some form of food insecurity annually. Texas is ranked second in the nation in the number of food insecure households. Food insecurity is not solely based on daily statistics. Rather it is a survey of household nutritional habits throughout a calendar year. The United States Department of Agriculture defines food insecurity as the lack of consistent access to adequate food. One of the best examples of food insecurity are low-income youth summer eating habits. Studies have shown without meals offered by public schools, many children do not consume the recommended daily three balanced meals. A September 2016 analysis by Texas Economist Dr. Ray Perryman reported that every dollar the state invests in food banks yields $3.27 in reduced healthcare and education costs. According to the latest USDA report, 17% of Texas households (one in six) experienced food insecurity in the years 2012-2014. Texas was one of just fourteen states with higher food insecurity than the nation during this period. In raw numbers, 1.7 million Texas households were food insecure, more than any other state except California. District 109 includes the cities of Dallas, DeSoto, Cedar Hill, Glenn Heights, Hutchins, Lancaster, Wilmer, and part of Duncanville. In November, voters sent Giddings back to Austin for her 13th term in the Texas House.